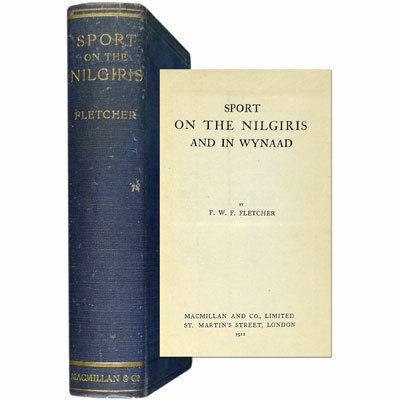 ‘Fletcher introduces both the terrain and the history of the Nilgiris and Wynaad regions in India, then provides big game chapters on a species-by-species basis. 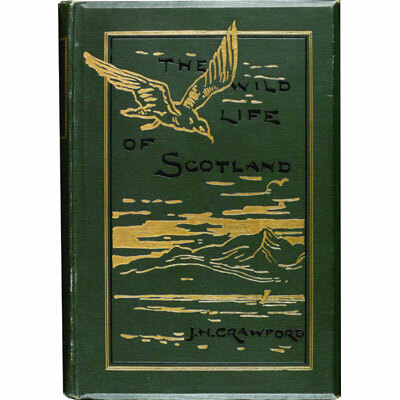 Each of these chapters features not only the natural history of the animals, but also the author's experiences hunting them. 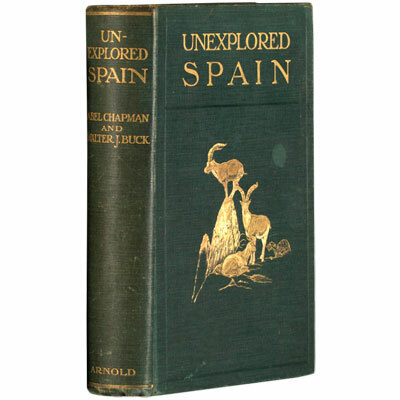 Included are chapters devoted to elephant, tiger, leopards, bison, beer, tahr, ibex, sambur, and other deer species. Fletcher switched from a .450 rifle to a .600 Jeffery: “In cold blood the recoil from his rifle is somewhat severe; but in the excitement of shooting it is not noticeable.”’ - Czech. 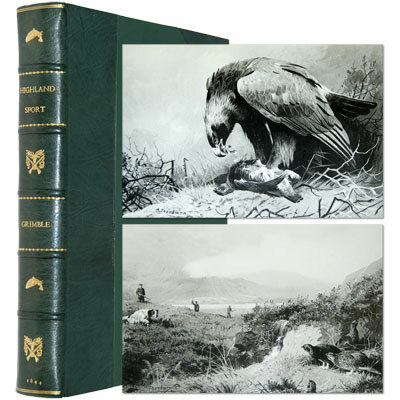 Illustrated with 18 plates, and folding coloured map as frontispiece. 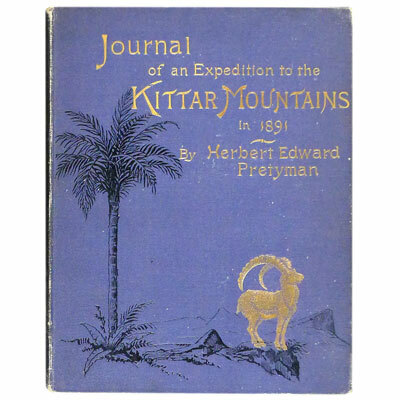 Journal of Herbert Edward Pretyman, Lieutenant Grenadier Guards - Written during his Expedition to the Kittar Mountains, between Kenneh (on the Nile) and the Red Sea. 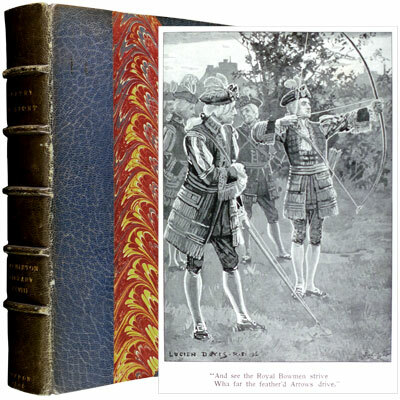 1891 - INSCRIBED - Herbert Edward Pretyman. Rev. Frederic Pretyman. 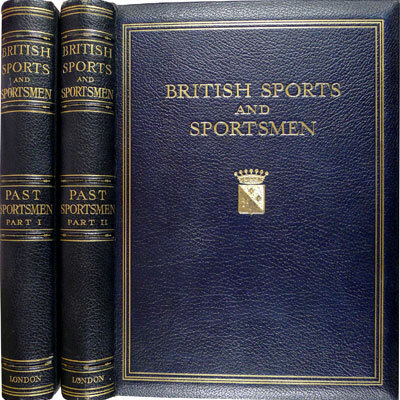 Lieutenant H. E. Pretyman travelled back from Ismalia to London in 1891, he died the same year, whilst Camp Adjutant at Bisley, and it is believed he had not fully recovered from a severe attack of typhoid and jaundice in 1889. His father the Rev. Frederic Pretyman arranged to have the journal published a short while later.